Bill Gates is an American business tycoon know as a principal founder of Microsoft Corporation, investor, author and philanthropist. William Henry Gates born on 28th October 1955 in Seattle Washington has a stable upper-middle-class upbringing as his father is a renowned lawyer and by no mean, he has faced any financial trouble in his childhood. His family wants that he follow his father`s footstep and become a lawyer but in his early age of 18 Gates shows his entrepreneur spirit by forming a company called Traf-O-Data with his childhood friend Paul Allen. Their goal was to build a hardware device that could read the traffic data tapes and give results without having to do the work manually. But on the day when a supervisor from the traffic department come to see their product, their device fails to work. The business fails in the very early stage but it gave Gates an invaluable lesson that he remembers for rest of his life. 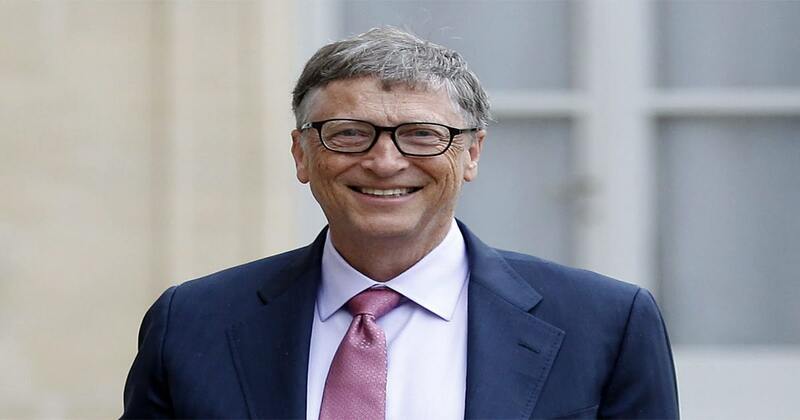 In 1973 after enrolling at Harvard University and scoring a near-perfect SAT score of 1590 out of 1600, Gates dropped out of the college next year to start Microsoft with his partner, Paul Allen. At that time his parents did not agree with his decision to drop out of the college to start something new but after much discussion, his parents okayed his decision and this decision of Gates change the computer world forever. In 1976 Gates founded Microsoft when he got a contract from MITS to develop a basic operating system for their new microcomputers. This is the time when Bill Gates use to review every line of coding himself, he even involves himself in packing and dispatching of orders. His first big break came in 1980 when IBM a leading PC manufacturer in the world approached them for a new basic operating system for their new computers. After this Microsoft start gaining a dominant position as best soft manufacture as the market of the personal computer just starting to rise. In the coming years, Microsoft has position itself as the one and only provider of computer operating software with the programs like Microsoft Word and Microsoft Excel and other companies find it very difficult to displace Microsoft from their dominant number one position. In mid-1990 Microsoft released its very first version of Windows, a breakthrough operating software where it has replaced text interfaces with graphical interfaces. This operating software is a revolutionary step in computer history and soon it becomes a best seller and captures the major portion of operating system marketplace. In 1995 Windows 95 was released with new features and in coming years this version of Windows has been the backbone of all future Windows releases from Windows 2000 to the latest Vista and XP Versions. Throughout in his entrepreneurial life, Gates has been very keen to diversify into other businesses. Internet Explorer is one of them, although it has become dominant web browser but primarily because of its pre-installation in most of the new computers, but still, in recent years Internet Explorer has losing its market share. Another area where Microsoft has never been successful is search engine marketplace, MSN Live has always struggled to gain more than 5% market share. Besides this several anti-trust cases against Microsoft including the US vs Microsoft almost come close to the broke company into 3 smaller firms, but however, on appeal Microsoft was able to survive as a single company. Throughout 1980`s and 1990`s Microsoft was the dominant computer firm around the world, but now they are seen as a declining and ageing company as compared to more young and dynamic companies like Apple and Google. From 2008 onwards Gates has worked full time on philanthropic interest and it is estimated that Gates and his wife Melinda have donated approx. $28 billion via the charitable foundation. Once Gates famously says that he has no use for money and he will only leave a small percentage of his wealth for his children’s. Although Bill Gates failed in his first few business ventures he did not lose heart and it didn`t discourage him from trying again and again. He did not want to give up and work more hard in his every next venture till he revolutionized the personal computing marketplace single-handedly.